My Life on a Farm: 3D has been released by the publisher TREVA entertainment GmbH after being developed by Independent Arts in November 2014. Now you can finally play out your most intricate farm based dreams without actually leaving the warm cosiness of your sofa, brilliant. In My Life on a Farm: 3D players can care for their animals, cultivate their land with farm machinery and then go to market and sell their produce, as well as running a little on site farm shop. 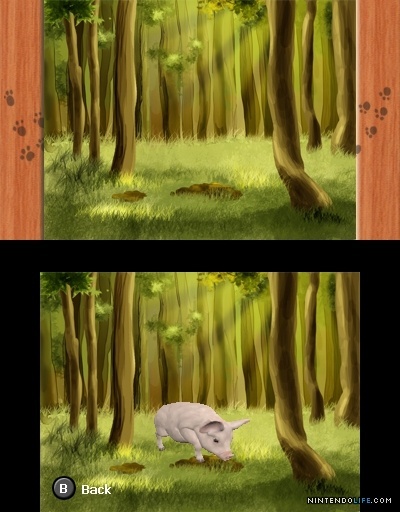 Throughout the game players can look after cows, donkeys, sheep, truffle pigs, fish, chickens, bees, geese and ducks so there is almost no relenting on the livestock front. As well as looking after the livestock, players can farm the fields, pick fruits and vegetables, collect eggs, milk, honey and wood, shear the sheep and learn a range of over 100 recipes to create and sell at the farm shop so there will never be a shortage of work to be done. 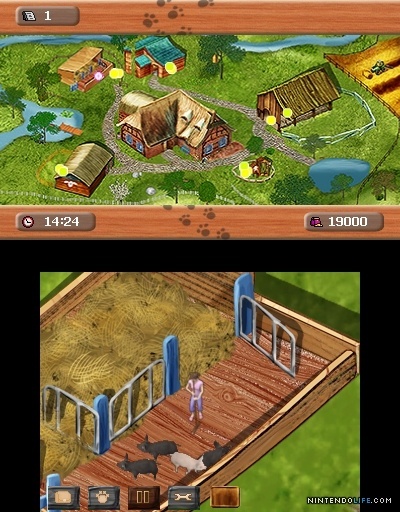 My Life on a Farm: 3D uses the 3D capabilities of the Nintendo 3DS excellently with really strong graphics and animations throughout the game play. Add to this the excellent use of the lower screen and joysticks in the farming activities and the gyroscopic rotation control of the 3DS and players really feel like they have supreme control over the activities on the screen. The fantastically involving controls are complimented by the actual game process as well. Farming is a time consuming, dirty and difficult job and whilst players won’t get dirty, per say, playing My Life on a Farm: 3D, they will get all of the sense of accomplishment and hard graft as this game certainly doesn’t spoon feed you easy wins. Players have to work genuinely hard to amass a fortune in this game but that isn’t to say it gets tedious, far from it. If you are into farming and aren’t scared of a bit of graft in your game then My Life on a Farm: 3D could be ideal. The graphics and animations are clear and bright and well designed, especially when they start kicking into 3D which has been incorporated into the game seamlessly. The soundtrack is exactly as expected on a farm yard themed game, country style music intertwined with various farm yard noises and sounds. The aim of the game clearly is to amass a fortune in farming by looking after your animals well, expanding your stock and farming the land well. There is a very roller coaster tycoon feel to this game because there is so much going on throughout and this is what keeps players turning on the Nintendo time after time to have another go. In conclusion, My Life on a Farm: 3D is a good farm simulator game with a good range of animals and farming tasks to attend to, as well as a very wide range of jobs to keep players busy.